Summary:The FuriBee F36 is a small mostly indoor flyer featuring 3.5-5 minute flight times, propeller ducts, and great flight capabilities. Overall this is my favorite cheap indoor quadcopter of 2016. You can easily hack it into a TinyWhoop and it'a great flight experience overall. 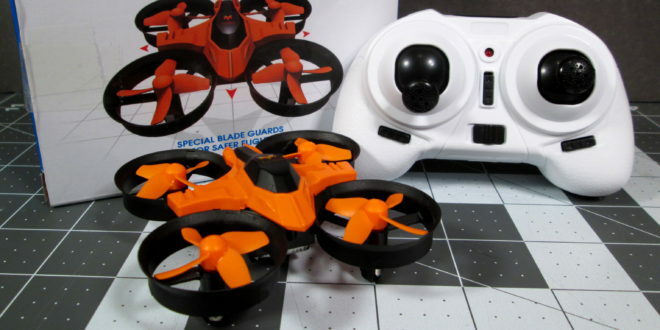 When comparing this to the Eachine E010/JJRC H36 this is the one that I would pick out of the three. 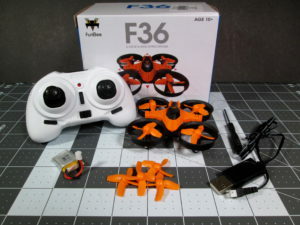 The FuriBee F36 is one of the newest in a series of Blade Inductrix clones out there on the market and is probably the best out of all of them. Feature wise it has 2 speed modes, flip mode, headless, and one key return. 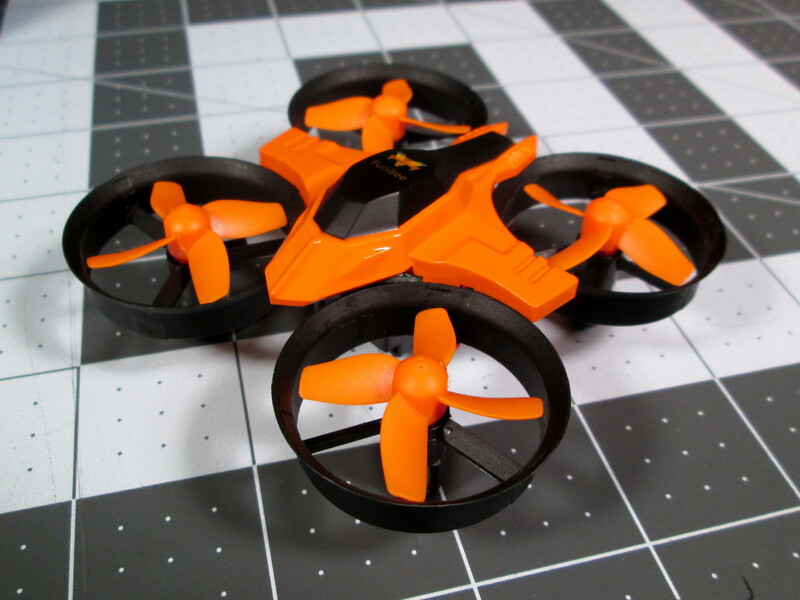 So no camera or anything but this quadcopter doesn’t really need one because it’s just tons of fun to fly. 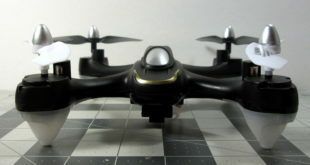 Flight performance is probably one of the best things about the FuriBee F36, it is very speedy in the HIGH speed mode and in LOW speed it is perfect for a beginner to fly. The number one thing I like about this quadcopter is that it is suitable for a wide range of flyers, in the high speed mode it’s great for an experienced flyer like me yet I was able to also coach my nephew through flying it in the lower speed mode. 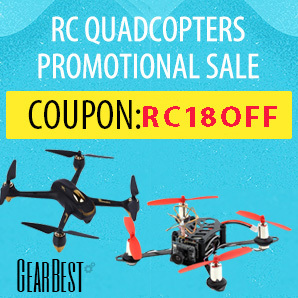 This quadcopter is very fast in the high speed mode and super fun to fly, it has perfect pitch, and the yaw rate is slightly high but is easy to get used to pretty quickly. Low speed mode as I said is perfect for beginners and has a lower pitch/yaw allowing for nice controlled flights. In addition to speed this thing has tons of punch which allows for quick acceleration and is able to recover from vortex ring state situations quite easily. I can take off at full throttle for 2 seconds, shut down throttle, and recover by punching the throttle again right before hitting the ground easily with no problems. It’s actually quite fun to do and I enjoy playing “chicken” to see how close I can get to the ground before I need to recover. Flight time is anywhere from 3.5-5 minutes depending on how hard you push it and what you’re flying with, so not a super long time but reasonable for a quadcopter of this size. Outdoor performance is another thing and is entirely dependent on weather conditions and I talk about it more in depth in the design section. 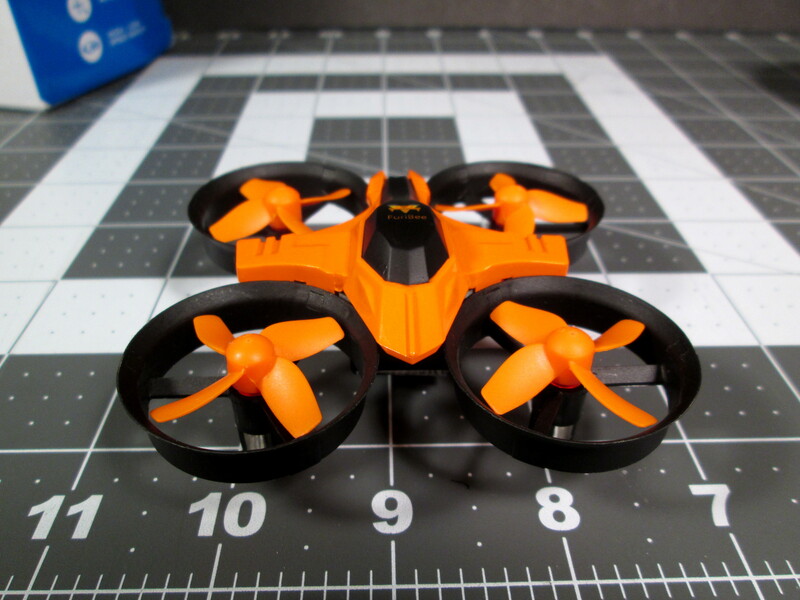 The design of the FuriBee F36 is one of the better ones out there, it’s small, lightweight, extremely durable, and there are a lot of little design choices that aren’t obvious at first glance. Design wise one of the best features is the propeller ducts, they keep your propellers protected very well and supposedly the ducts help with lift but there isn’t any real evidence of that right now. 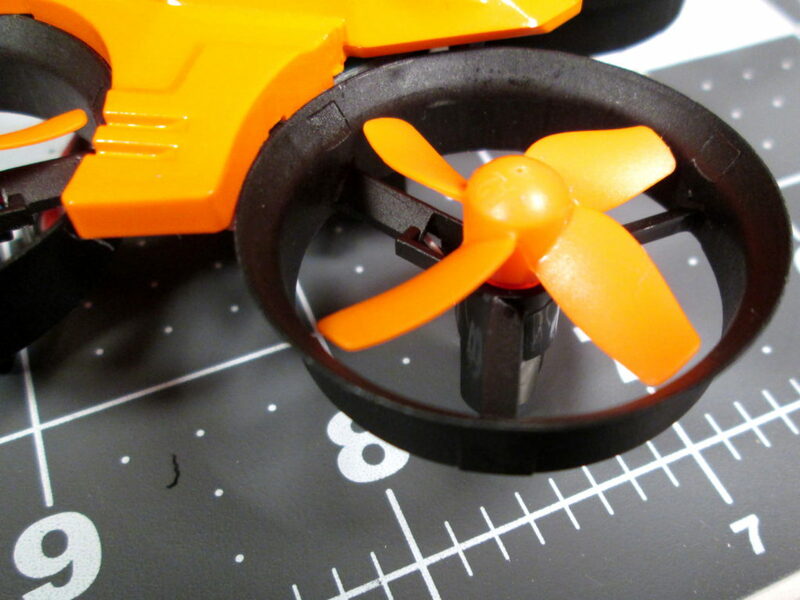 Speaking of the propeller ducts if you look closely at the support for the propeller ducts you’ll noticed that they are at a slight angle which is an improvement over the Eachine E010/JJRC H36. The top shell is just a lightweight piece of plastic that clips on and you really don’t need it while flying if you’re confident in your ability to not crash. 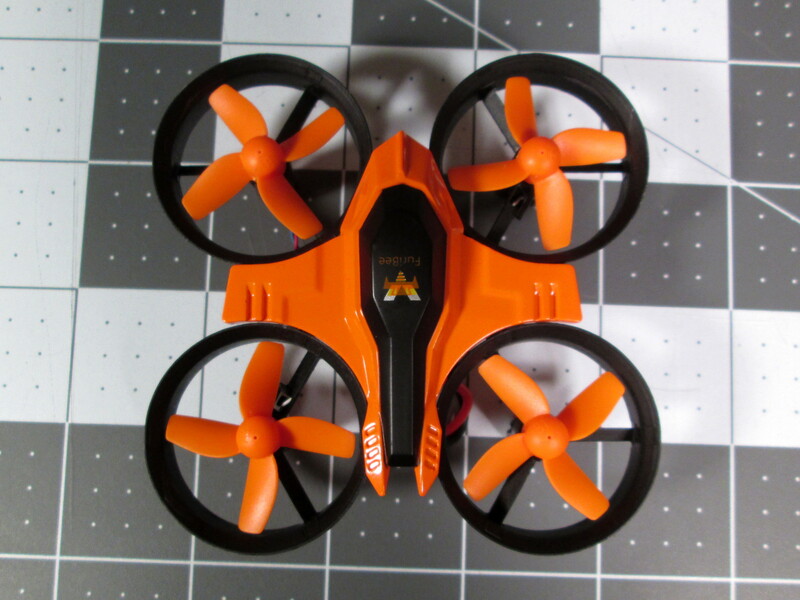 Removing the top shell will shed a little over a gram off the flight weight and in these little quadcopters any sort of weight reduction is a performance increase. 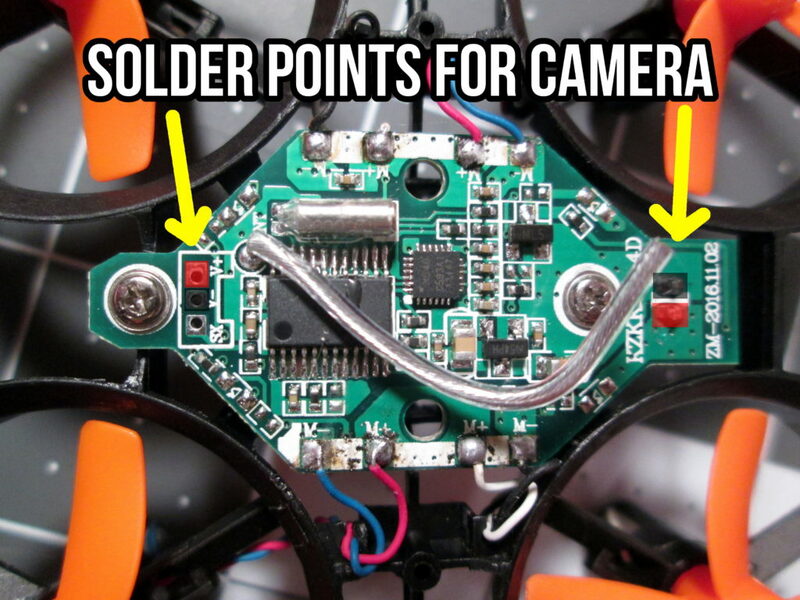 Looking at the bottom of the quadcopter there is a battery bay with 3 horizontal supports for the battery and a JST style battery connector. 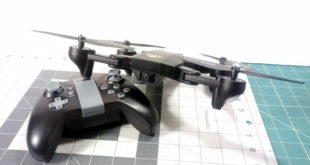 The battery slides in snugly and is held in mostly by the connector plugged into the quadcopter. The landing gear and motor housing double as one piece which again reduces some of the weight of the quadcopter and aside from a little bit of bounce on a rough landing it really works quite nice. One downside of the wide top shell is that it makes the quadcopter perform horribly in pretty much any sort of windy conditions, this is mostly due to the shell being a giant wind catch. 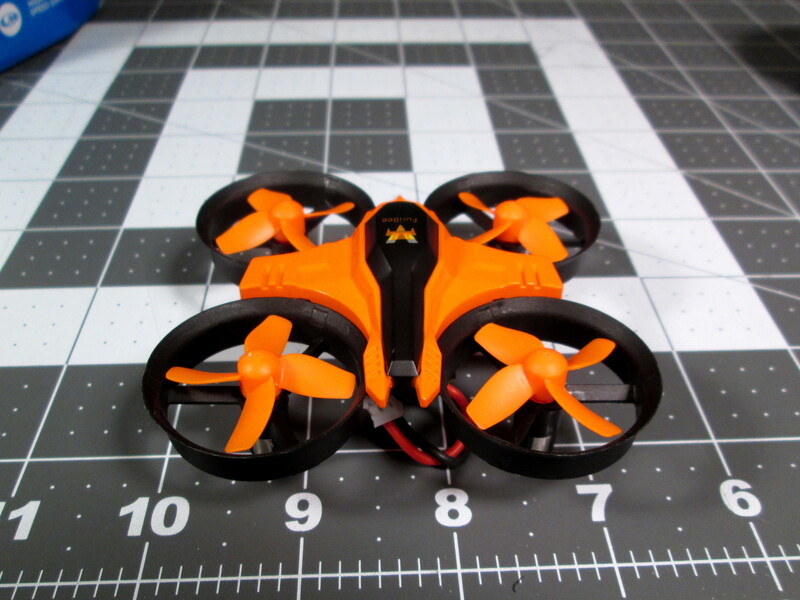 This can be negated a little bit if you take off the top shell but it is still much better suited as an indoor flyer. 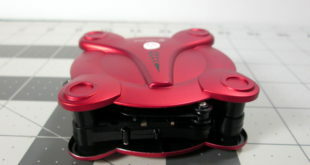 This quadcopter also has massive potential for modding and upgrades which I talk a little bit more about below. The transmitter is pretty decent with the FuriBee F36 and while it has some ups it also has some downs in regard to controls. They’ve removed the need for extra buttons on the transmitter by turning the yaw trim into the speed control, combining headless/one key return into one control stick press, and made flip mode controlled by a right control stick press. 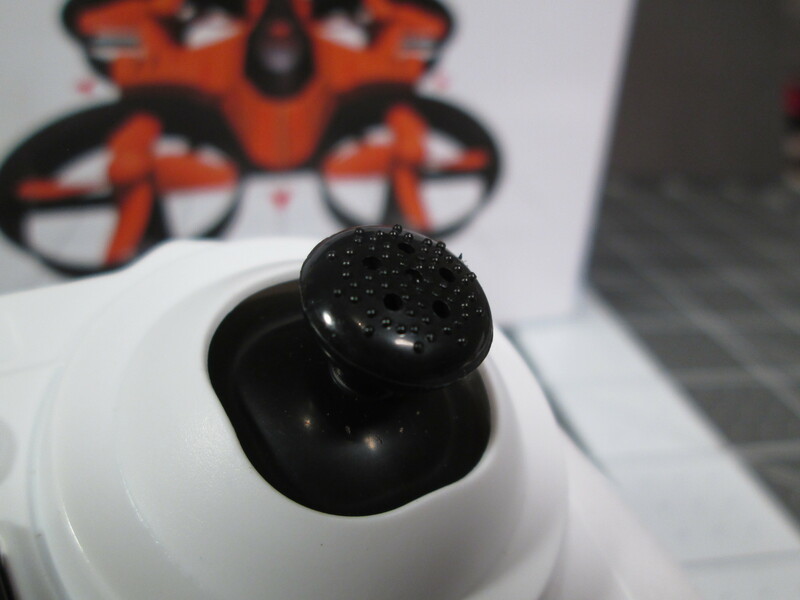 The included control sticks have a decent amount of grip with a rough bumpy surface and the functions where you click the control stick in are easier to use. I’d also like to say that even though the transmitter in general is quite small it is easy to hold whether you have large or small hands allowing for a wide age range in flyers. The transmitter is made of a lightweight textured plastic that gives you a decent grip and on the back you have a battery bay that takes 3 AAA batteries. Overall I feel alright with the transmitter they’ve included, it is easy to use and I was able to get a hang of the controls after only a few minutes of flying. The control sticks are short and flat which results in the whole thing being touchier than it would be with longer sticks. Yaw speed in the high speed mode is very high and definitely takes a little bit of getting used to. If you enjoy hacking things apart the 2 downsides can actually be improved pretty easily, if you have a 3d printer you can print pop the control sticks off and print longer replacements, additionally if you want to lower the yaw speed you can check out this mod by Alias_Hendrik on the RCGroups forum. 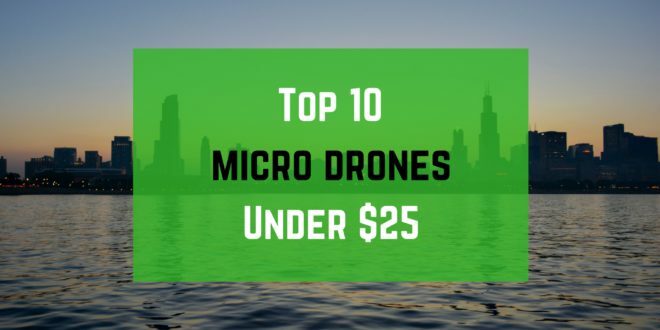 As some of you may know these little clones are extremely popular to mount light weight FPV cameras on, upgrade the motors, and use upgraded batteries. Remove the top shell and mount an extremely lightweight camera like the FX797T or FuriBee F03 for an extremely fun FPV experience. 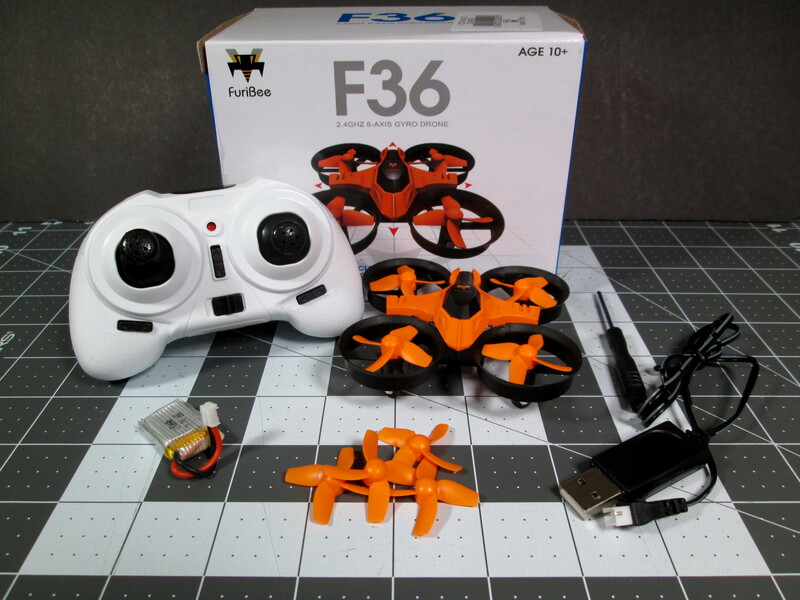 If you are looking to do your own Tiny Whoop setup the FuriBee F36 beats out the Eachine E010 and JJRC H36 in power and speed. 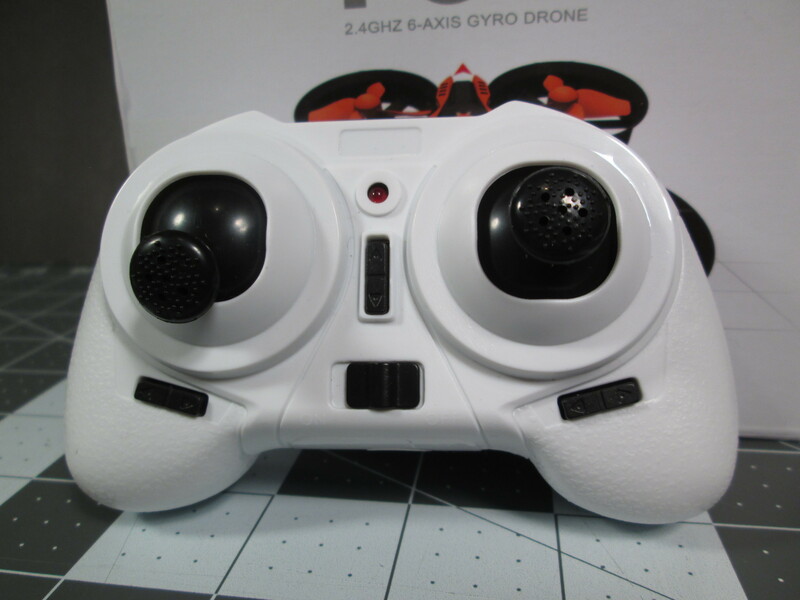 Another mod that you can do is to purchase an FrSky 32 Bit Flight Controller to give yourself the ability to use your own transmitter and use cleanflight to customize your flights. Overall this is probably my favorite indoor flyer right now, it’s fast, stable, and extremely durable. For me it is perfect to fly around my house during the winter and the ability to mount your own camera on it through modding makes it great for someone into FPV. 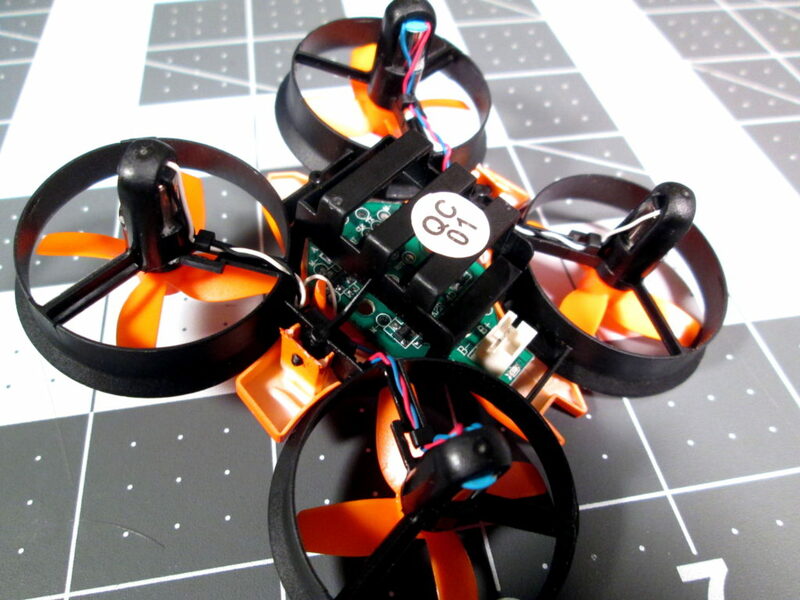 If you’re a novice or an experienced flyer definitely look into picking the FuriBee F36 up.